Debbie has acted as trial counsel on catastrophic losses and successfully defended a representative property damage claim arising out of the natural disaster of the 1998 ice storm. She has appeared before Superior Court, the Divisional Court, the Ontario Court of Appeal and has filed a Response to a leave application to the Supreme Court of Canada. She has successfully argued first party cases before the LAT and at Arbitration through the Financial Services Commission. Her experience includes participating in private Arbitrations dealing with priority of payment issues and loss transfer matters. In her twenty-five years of practise she has obtained many excellent settlement results for her clients through mediation and other settlement negotiations and continues to provide services to many of the clients she first started working for at the beginning of her career. She is a recognized advocate in her field of insurance and insured services. 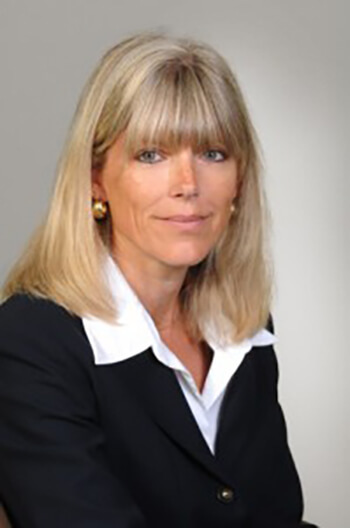 She is often requested to speak at conferences and seminars for various groups including the County of Carleton Law Association, the Canadian Society of Medical Evaluators, the Canadian Institute and the Canadian Defence Lawyers on various insurance and litigation procedural topics. She was requested, and attended, to make submissions on behalf of the CDL to the provincial panel reviewing the accident benefit scheme led by former Justice Cunningham. Isildar v. Kanata Diving – Waiver – scuba diving fatality – successful in upholding waiver in favour of the diving facility, its owner and the scuba instructor. Graham v. Capital Dodge et al – liability of dealership for leased vehicle and negligent entrustment of vehicle – successful in establishing no retained ownership or liability to the dealership and rejection of argument of liability arising by way of negligent entrustment. Drapeau v. Hodge – Jury Notice – motion to strike jury notice filed after mediation – successful in maintaining jury notice in action. Pilotte v. Zurich Insurance – Statutory Accident Benefits – plaintiff’s action found to be statute barred, discoverability rule not applying and relief from forfeiture denied. Zabo v. University of Ottawa – Education Malpractice – plaintiff’s action struck with respect to breach of contract – Leave to Appeal to the Supreme Court of Canada denied. Baltruweit v. University of Ottawa – Defamation and Negligent Infliction of Mental Harm – plaintiff’s action dismissed – Appeal to Court of Appeal of Ontario by plaintiff dismissed.